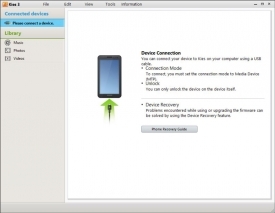 "Manage your Samsung devices with Kies 3 (The Galaxy Note 3 and devices after)." If you have a Samsung device, phone or tablet, most likely you’ve never connected it to your computer. This is because they are all in one devices that do not need constant maintenance in order to run smoothly and stay organized. However there will probably come a time, if not already, that you will want to connect your Samsung phone or tablet to your computer for the means of transferring files to and from your computer. Samsung created Kies 3 for that time. You can think of Kies 3 as being like an iTunes for Samsung devices: that is of course without the in app store for purchasing content and listening to internet radio. Kies 3 transfers all of your contacts, music, photos, videos, podcasts, and story albums to and from your Samsung devices just like iTunes would for iOS devices. This is a great tool for those who like to have an offline backup of all of their content from their mobile devices, plus online backup has a history of not being the most secure way to store your files. Kies 3 allows you to quickly and easily backup all of your files wherever you specify; if you have an external hard drive that you want to use instead of your computer’s internal hard drive, then you can do so with Kies 3. If you ever run into an issue with your Samsung device where it won’t boot up, or there is any issue with an update or current firmware. 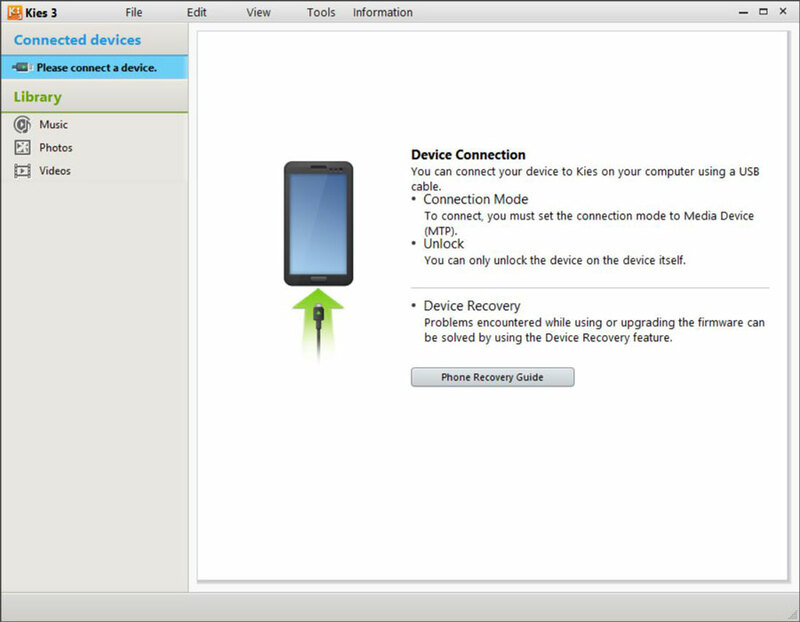 Connecting your device to Kies 3 will allow you to factory reset the device and get it working properly again. This version of Kies, Kies 3 is made specifically for Samsung phones and tablets that were made after the Galaxy Note 3 – includes support for the Note 3. Any devices before the Galaxy Note 3 will need the original version of Kies , which you can get here as well.